From soaring mountain peaks with cascading waterfalls and glacial lakes to forest-filled coastline, British Columbia is an incredibly diverse landscape ready and waiting to be explored. Almost 15 percent of its land is protected, one of the highest proportions of protected lands on the planet today. Explore spectacular scenery within the province’s seven national parks, hundreds of provincial parks and incredible UNESCO World Heritage Sites. The incredibly lush Pacific Rim National Park stretches along the southwestern coast of Vancouver Island. Throughout the year there are endless opportunities to pull on your walking boots or wetsuit and explore. 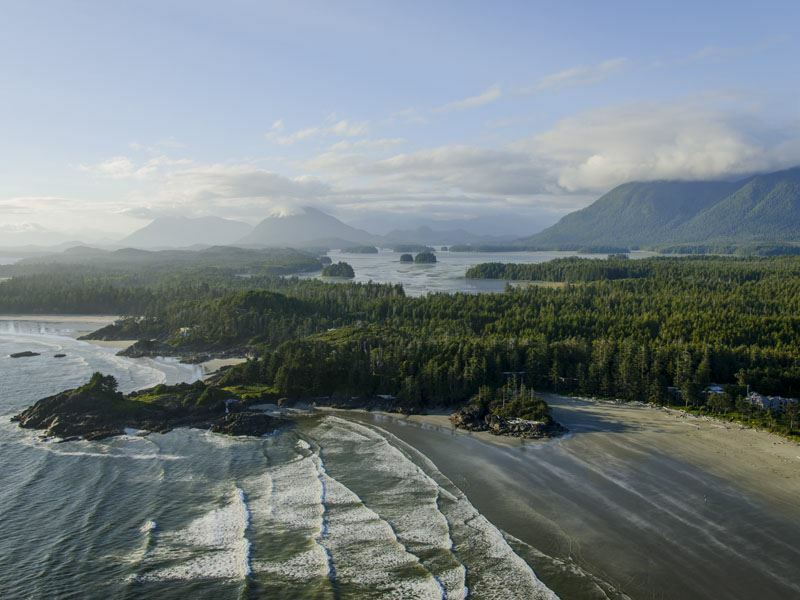 Long Beach sits within the Clayoquot Sound UNESCO World Biosphere reserve, a 10-mile stretch of bays with old growth rainforest as a backdrop. The beach has a laid-back vibe, and it’s wild waves makes it one of the world’s top spots for surfers. During autumn and winter, storm-watch from the warmth of the Wickanninish Inn as the huge rollers crash against the coastline. Paddling Pacific Rim National Park is incredible. 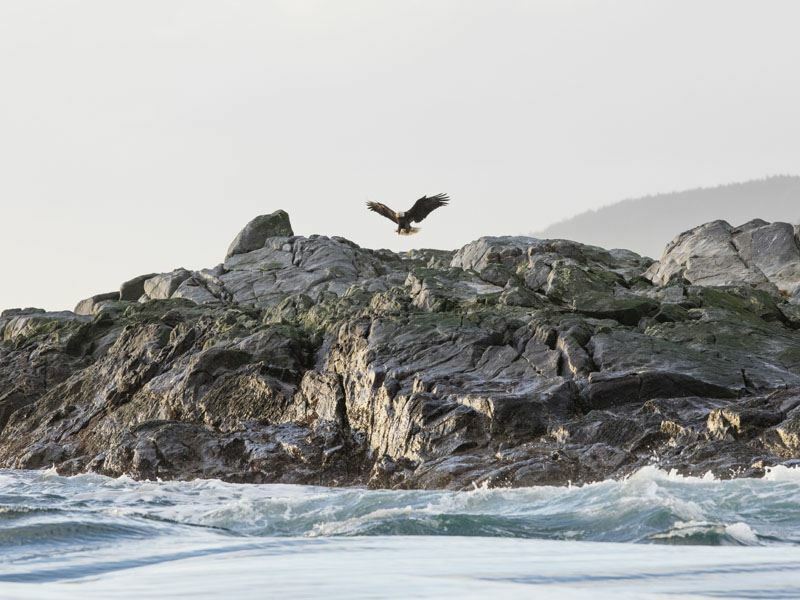 The Broken Group Islands sit off the coast of the tiny harbor town Ucluelet, and with over 100 islands and inlets to explore it is a paddlers dream. The southernmost section of the park, the West Coast Trail, offers a challenging 47-mile route that winds through unspoiled rainforest between Port Renfrew and Bamfield on the island’s west coast. Originally developed to be a life-saving trail for mariners who became shipwrecked, the “Shipwreck Path” takes six days to complete passing beautiful beaches, waterfalls and sandstone cliffs. Requiring a significant amount of stamina and strength, it’s recommended only for advanced hikers or backpackers. Located on southern Vancouver Island just a short drive west of Victoria, Sooke Potholes Provincial Park is known for its unique rock formations that formed millions of years ago during the last ice age. The series of serene rock pools are popular with locals for enjoy a refreshing dip in the cool, clear freshwater. It’s also a fabulous place for picnicking and hiking, with especially scenic but easy, short trails that meander through the dense forest. Take in magnificent views from several viewpoints and keep an eye out for bald eagles and black-tailed deer too. Sooke makes a good starting point for the Pacific Marine Circle, a 300km loop which dives deeper into southern Vancouver Island, perfect for a couple of free days. Taste your way thought local breweries and wineries, walk magnificent lakeside and coastal trails and marvel in panoramic views from the top of the Malahat Mountain. Yoho National Park converts from the local First Nations expression of ‘awe and wonder,’ over the park and it reflects very accurately. 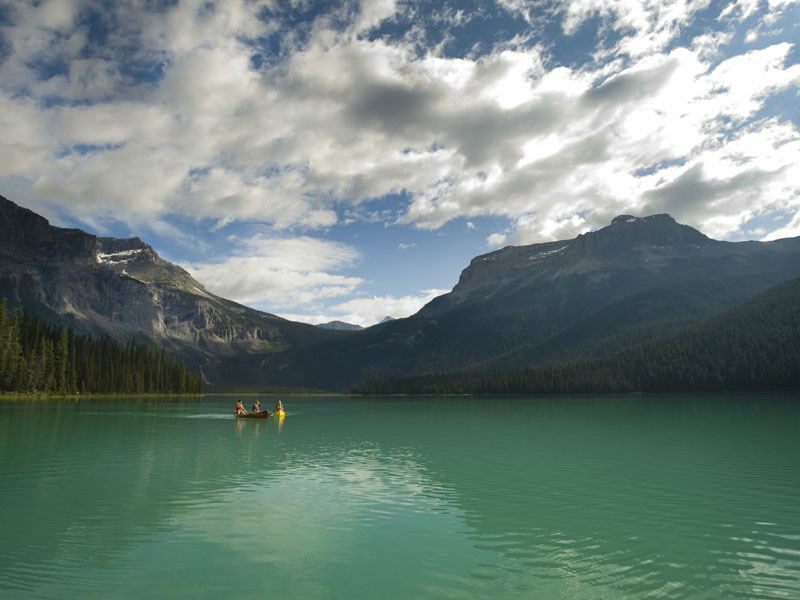 Yoho boasts vast glaciers, mountain peaks, towering rock walls and countless waterfalls. Part of the famous Canadian Rockies, it’s a hikers’ paradise with routes of all types from simple jaunts around stunning Emerald Lake, to the trek to Wapta Falls. Getting to the largest waterfall in the park is an easy three miles and the sound of the thundering Kicking Horse River spurs you on along the way. If you’d rather admire the sights from behind the wheel take one the park’s outstanding scenic drives, like Yoho Valley Road. Climb the switchbacks through the valley before reaching Takkakaw Falls, one of the most jaw-dropping waterfalls in the Canadian Rockies, plunging over 830 feet. Spring is a great time to visit when the snowmelt fills the riverways and the water bursts over the cliff face and is even more spectacular. Those with a fascination for fossils can even discover half-billion-year-old fossils in the Burgess Shale fossil beds, a geological find of great significance which includes remarkably detailed fossils of prehistoric marine life. Guided hikes are available, led by expert interpreters who combine hands-on activities with storytelling to make the most out of the experience. 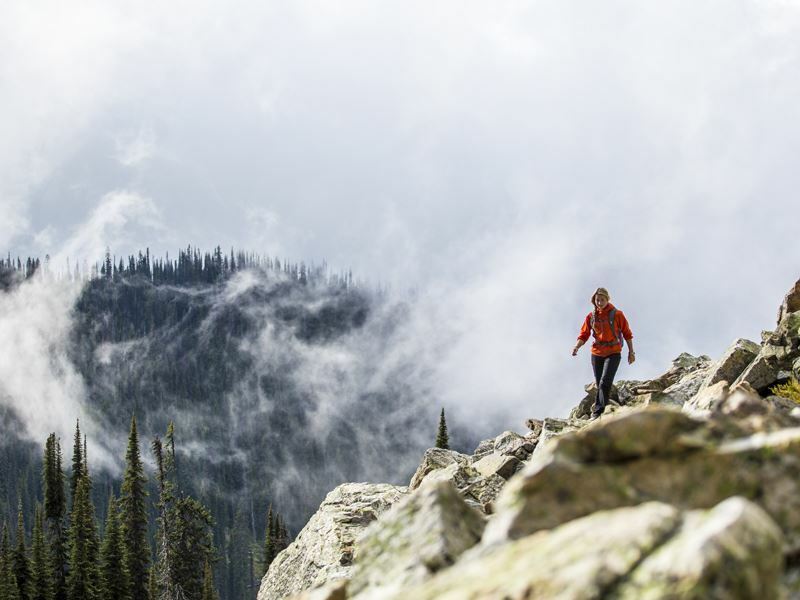 This 100-square-mile park in the Selkirk Mountains near the old railroad town of Revelstoke is legendary for its extraordinary vistas, wildflower meadows and miles of scenic hikes. It’s home to active glaciers, and one of the largest cave systems in the country. The old growth forests are inhabited by multiple large mammals, with the opportunity to spot moose, black and grizzly bear, and the smaller pine marten, mountain goat and more. The aptly-named Meadows in the Sky Parkway offers an unforgettable drive through a kaleidoscope of colours as flowers spread across the mountain sides. At an elevation of over 1500 feet along the Trans Canada Highway the road winds just over 16 miles, through forests of hemlock and cedar, spruce and fir before reaching the park’s famous subalpine meadows. Experience the only inland cedar rainforest on Earth, taking the Giant Cedars Boardwalk and the Skunk Cabbage Boardwalk, a path that’s just over one mile in total. One of the best places to absorb the striking contrasts of nature, from icy rivers to steamy hot springs, is Kootenay National Park, found in southeastern British Columbia. Along with Yoho, Jasper and Banff, it’s part of the Canadian Rocky Mountain Parks UNESCO World Heritage Site. An excellent site to get active! Visit the spine of western North America, otherwise known as the Continental Divide, which allows you to stand in two provinces at once. the mesmerizing canyon walls of Marble Canyon, turquoise glacial waters and Radium Hot Springs. Take a scenic drive and discover the mesmerizing rock formation of Marble Canyon and don’t miss one of the top photo-ops in the park, the Kootenay Valley Viewpoint. 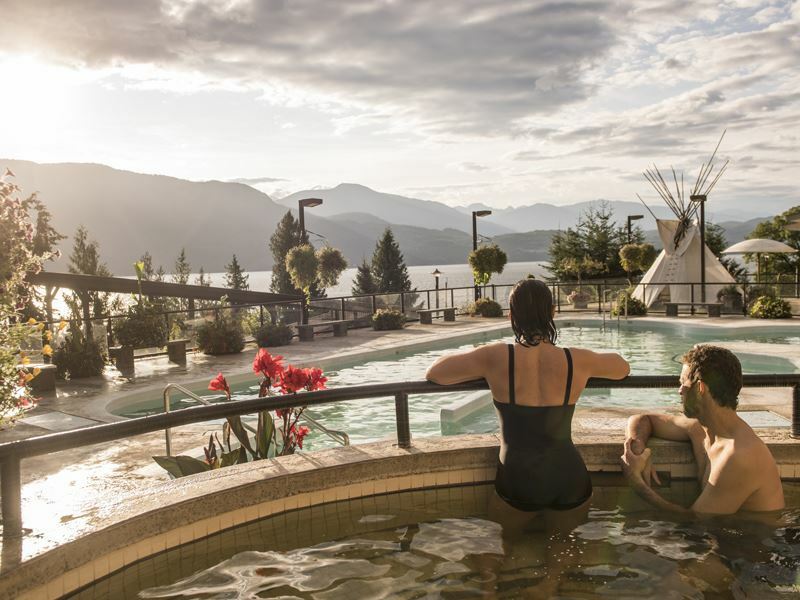 After admiring the jaw-dropping spot that overlooks the Kootenay River stop for a dip in Radium Hot Springs. The mineral-rich waters are a top attraction, ideal for soothing those muscles after a long day. Named after its soaring peak, Mount Garibaldi, this provincial park provides exceptional natural beauty and nearly endless opportunities for hiking. Located along the Sea to Sky Highway between Vancouver and mountain town Whistler, it makes the perfect stopping point to stretch your legs. 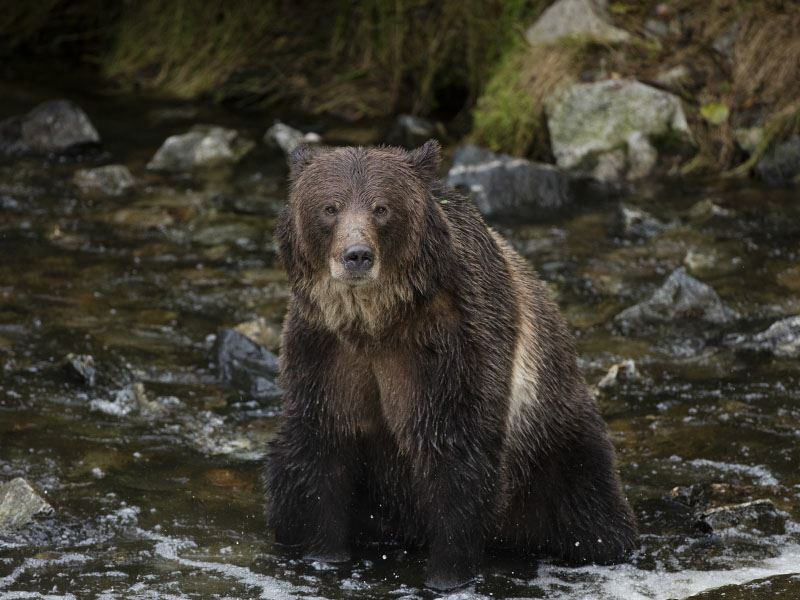 For those venturing out of the city for the first time, exploring the 60 miles of spectacular trails might be the first opportunity for spotting wildlife with bald eagles, black and grizzly bears often seen in the park. 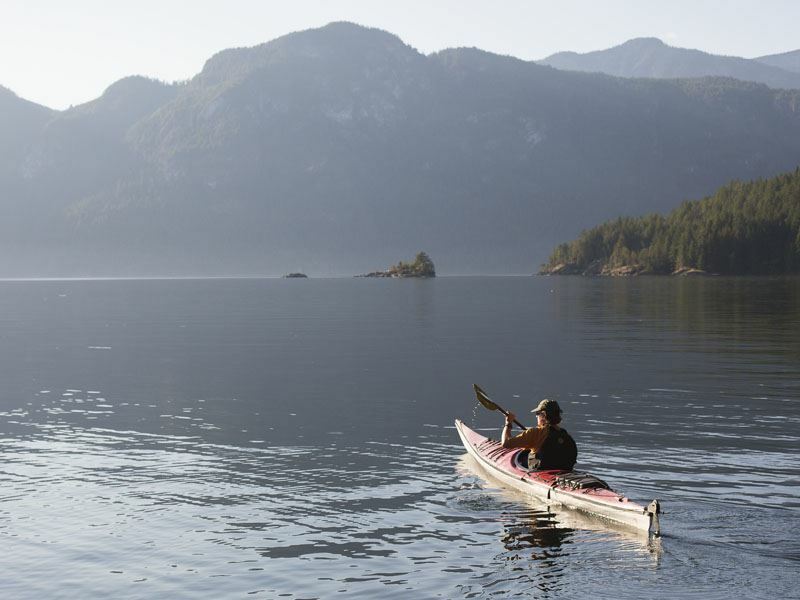 If you aren’t a highly experienced kayaker yourself, it is thrilling to watch those who are dance about the waves of the saltwater rapids at Skookumchuck Narrows Provincial Park on the Sunshine Coast. Some of the most fascinating rapids you’ll ever see, twice a day reverse direction and occasionally exceed nine feet in height. There are trails and viewing areas to watch remarkably turbulent tidal rapids, with 200 billion gallons of water flowing through the narrows, even more impressive are the thrill seekers who tackle the currents.